ESD Flooring for Compliance to the Latest Standards. Another PROFESSIONAL ESD Flooring Installation and Certification from United Static Control Products! 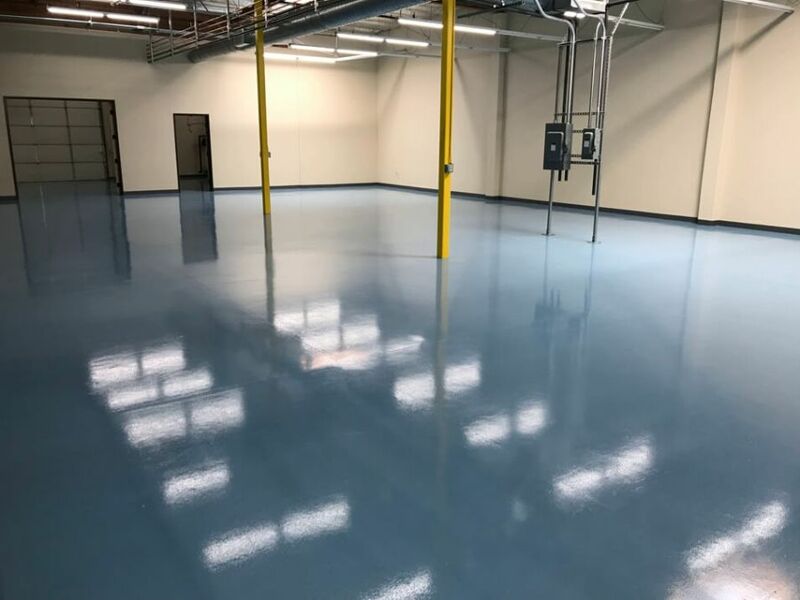 Our New Sierra Blue ElectraGuard ESD Epoxy Flooring features the same stellar PERMANENT static control properties, wear resistance, value oriented cost and longevity as our other colors. The difference? All that value is wrapped in a peaceful yet powerful color that helps hide dirt and scuff marks while complimenting your equipment and the surrounding walls and wall base. Sierra Blue is a true two part Epoxy with wear properties that rival thick set epoxy at a fraction of the cost. Pair this with a professional installation from United SCP and get peace of mind in KNOWING your ESD floor will pass the latest ANSI ESD S20.20 standards with EASE.